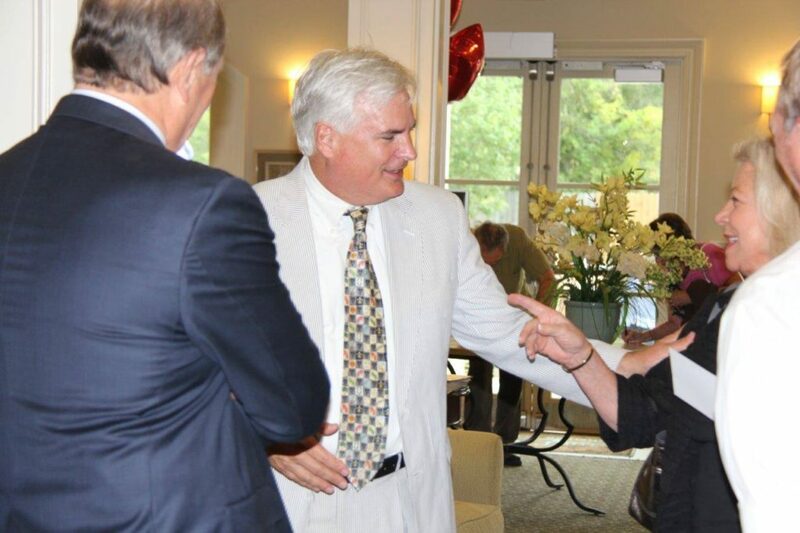 District Attorney Warren Montgomery mingled with other guests and led the Pledge of Allegiance at U.S. 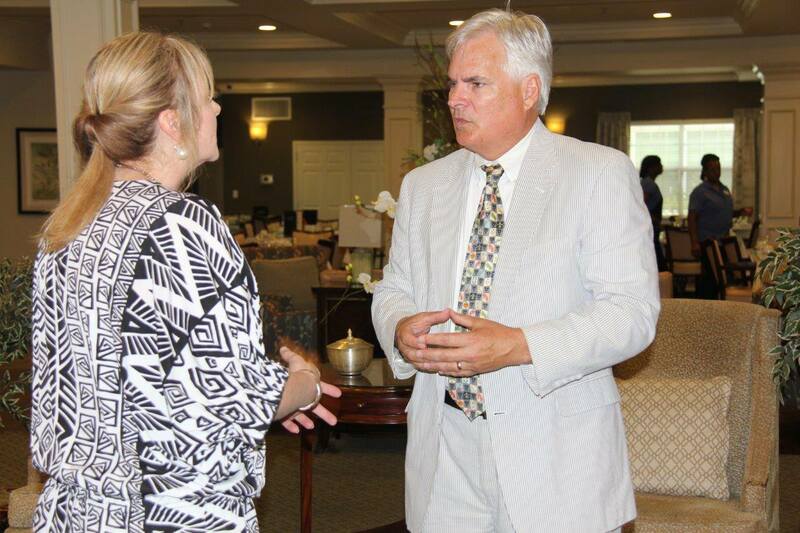 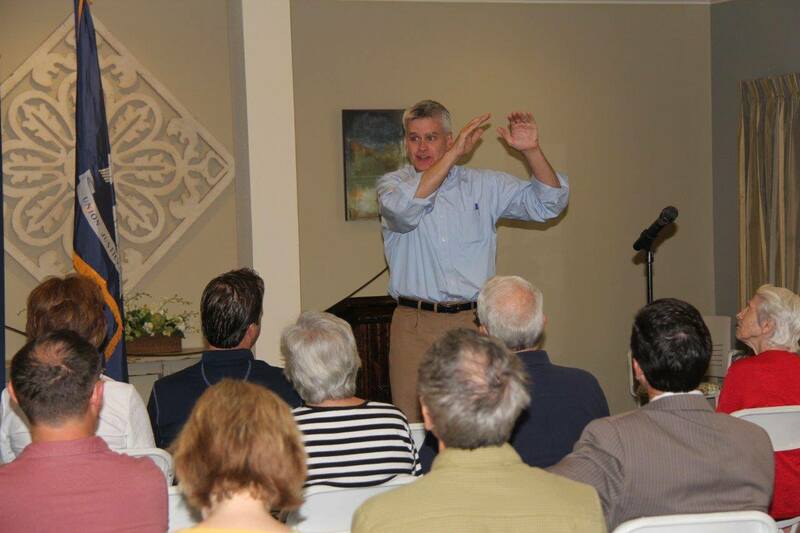 Senator Bill Cassidy’s town hall meeting on August 20, at The Trace Senior Community in Covington. 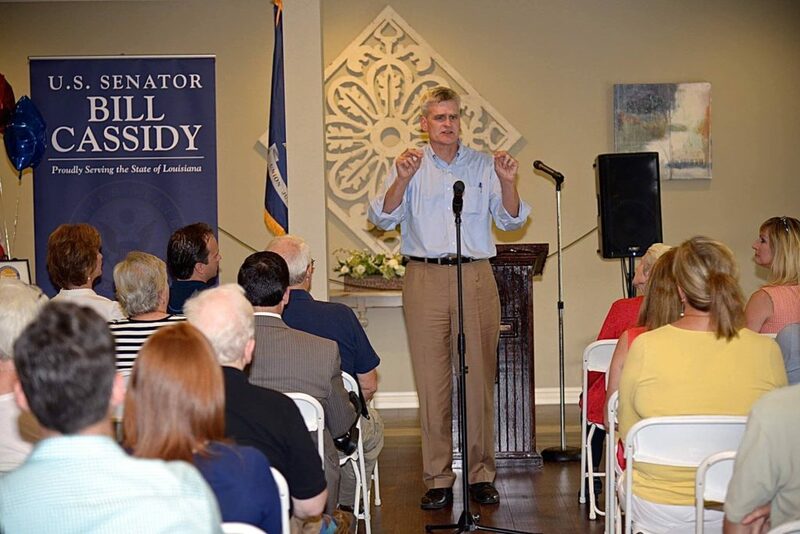 A number of other elected officials, parish residents, and residents of the senior community attended to hear Sen. Cassidy talk about what he is doing in Washington, D.C., for St. Tammany Parish.